This Thursday, Feeding America West Michigan will offer groceries to those in need at their headquarters in Comstock Park. Students from Rockford Christian School volunteer at one of Feeding America West Michigan's Mobile Food Pantries in 2014. On Thursday, Dec. 22, Feeding America West Michigan will open its doors to community members who need a little extra food this holiday season. Food for the Holidays will begin at 2:30 p.m. and conclude at 4. Guests are asked to arrive no earlier than 2 p.m. The organization will provide each household with three to four days’ worth of groceries, including fresh produce, dairy products, baked goods and shelf-stable items. Guests may collect food for up to one other household. The event follows a successful pre-Thanksgiving distribution at the food bank on Nov. 23. This was the first time Feeding America West Michigan had done a large-scale distribution at its warehouse in Comstock Park. Typically, the organization serves clients through its network of local partner agencies and its Mobile Food Pantry program, but, as Krick says, the team felt it was time to try something different. 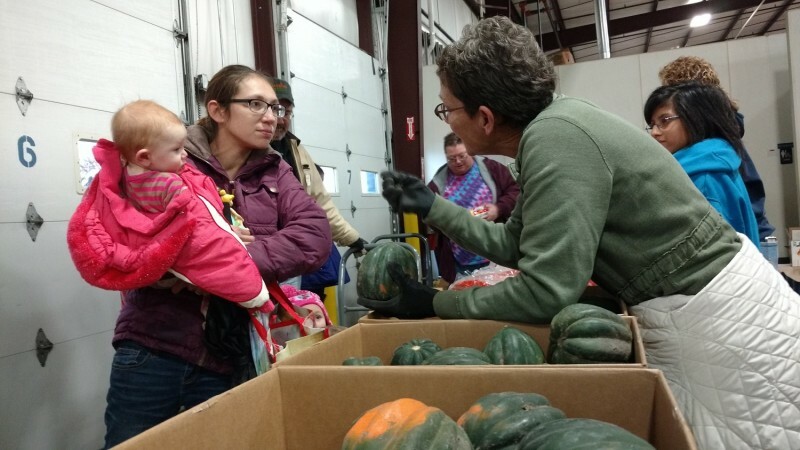 An estimated 77,500 people are food insecure in Kent County, according to Feeding America’s Map the Meal Gap study, and food insecurity, she points out, is relatively high in Feeding America West Michigan’s immediate neighborhood. This was a way to reach those neighbors who might not be connected with other services. Food for the Holidays is open to anyone in need of food. No pre-registration or photo ID is required; however, all guests will be asked to affirm that they are in need and provide basic contact information that can be used in the event of a food recall. Guests are reminded to dress for the weather. 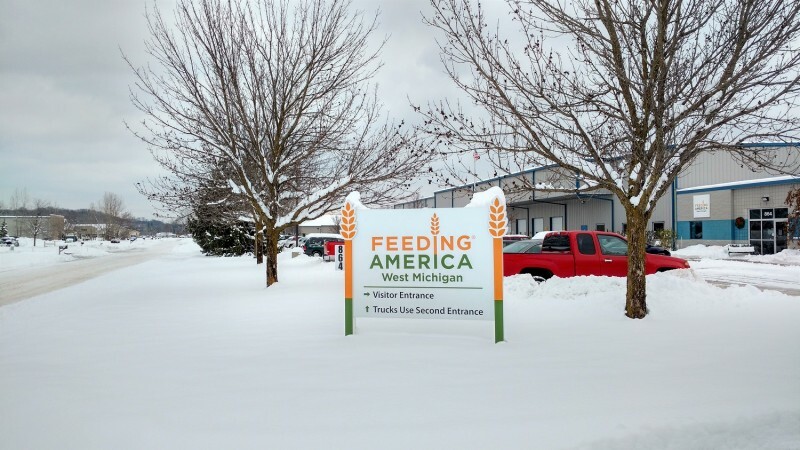 Feeding America West Michigan is located at 864 West River Center Drive in Comstock Park. Those who can’t attend on Dec. 22 can find other resources at FeedWM.org/FindFood.